The news was updated on March 29, 2019. 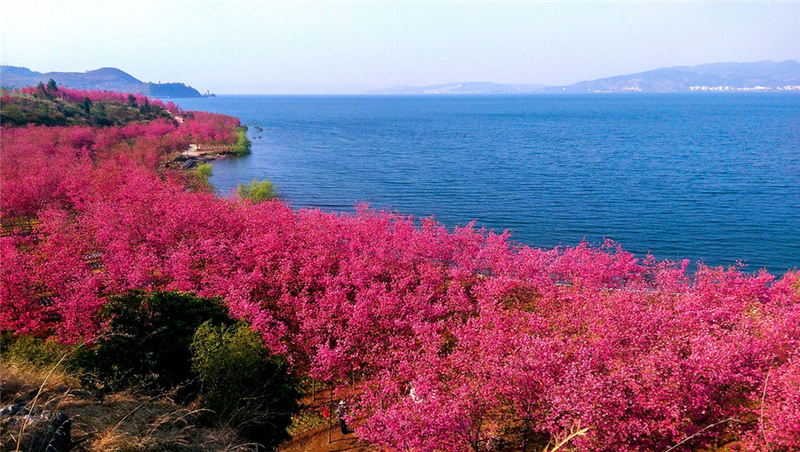 Cherry blossoms are in full bloom at Fuxian Lake Park, painting it breathtaking shades of pink and white. 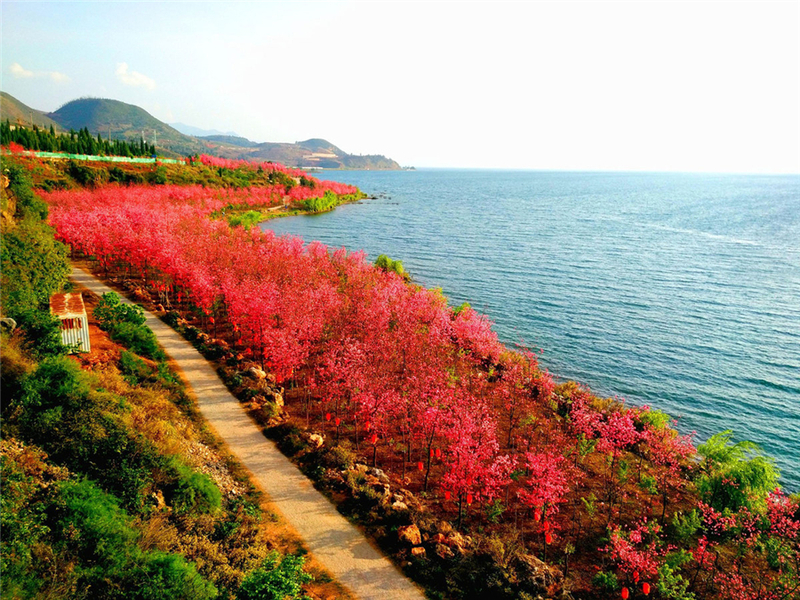 There are nearly 50,000 cherry trees along the lake and on the surrounding hills, representing a total of 58 varieties. 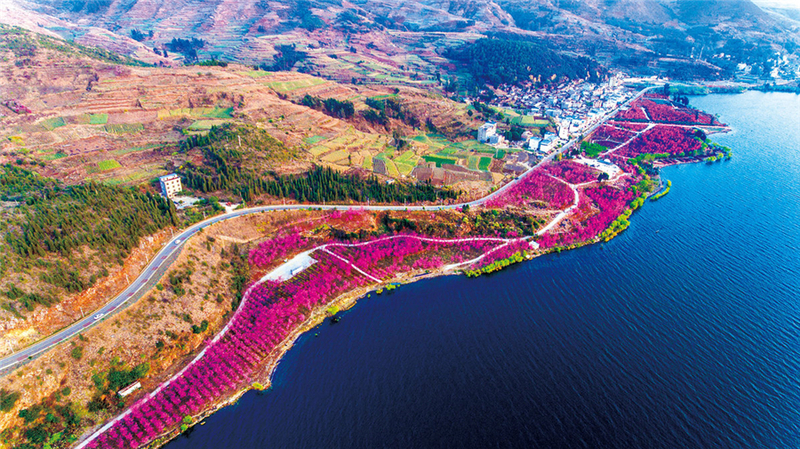 Fuxian Lake stretches across Chengjiang, Jiangchuan and Huaning county in Southwest China’s Yunnan province, spanning an area of 212 square kilometers. Visitors can enjoy the magnificent cherry blossoms from lakeside promenades, open lawn areas or a ship cruising the lake. The cherry blossom petals floating on the water add to the already visually stunning view. The ecological environment of the lake, now clean and fresh, has improved after several years of efforts from the local government. 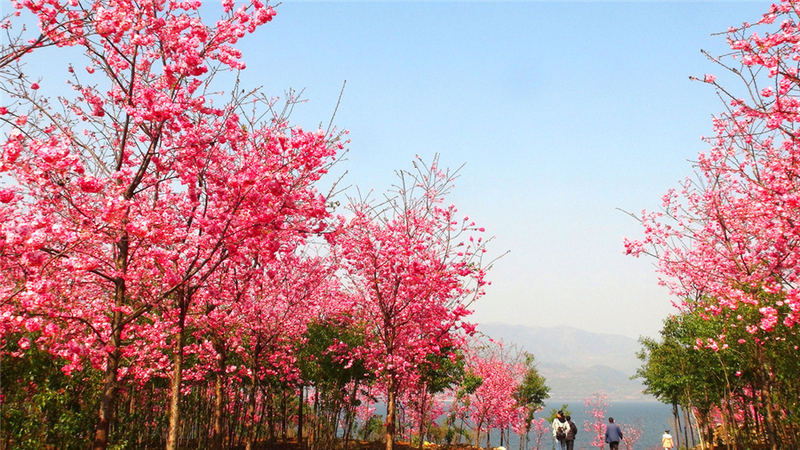 The cherry trees were largely planted in 2011, which has since helped reduce water pollution by preventing crop waste, pesticides, fertilizers and residues from flowing into the lake. 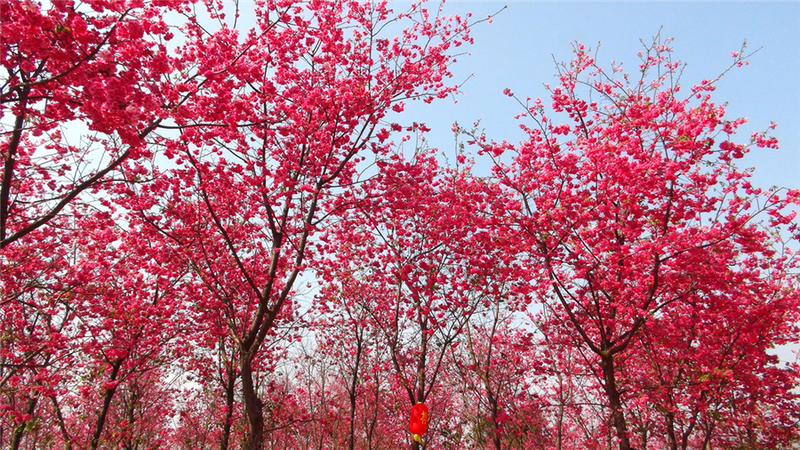 A cherry blossom festival has kicked off in March at the park and will last until April 22.